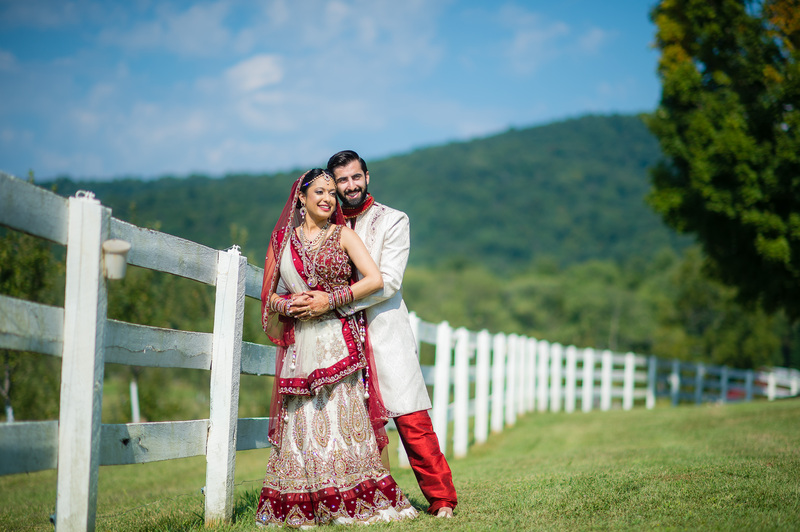 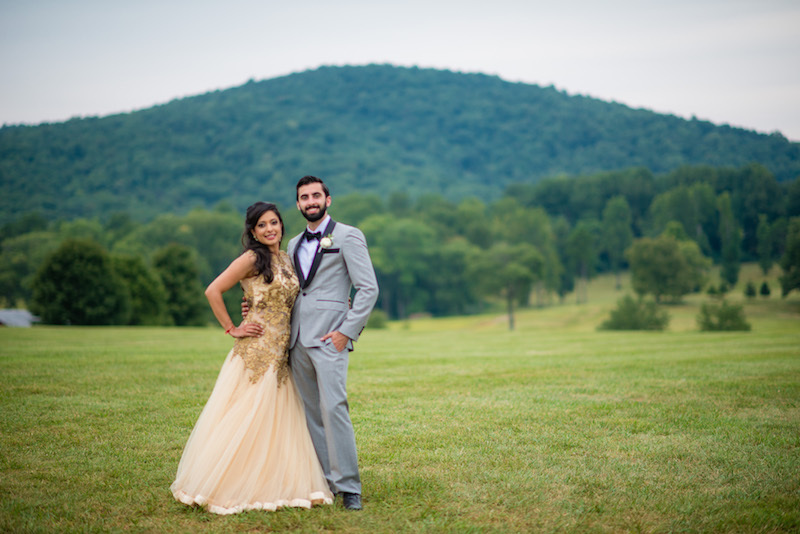 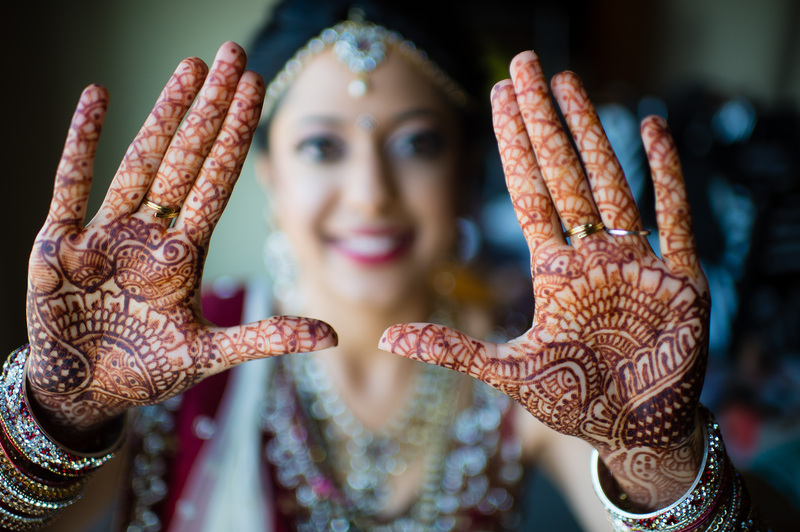 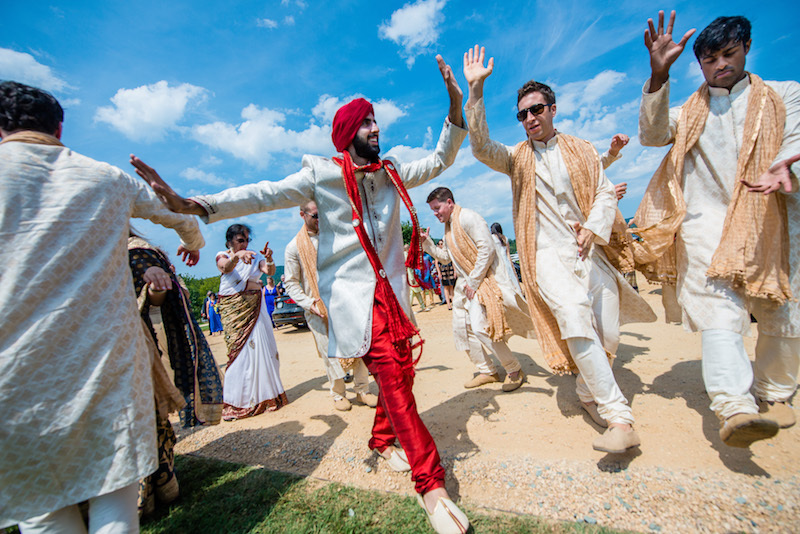 I am so excited for this week as we are bringing you cultural wedding information and inspiration coupled with some amazing real DC multi-cultural weddings! 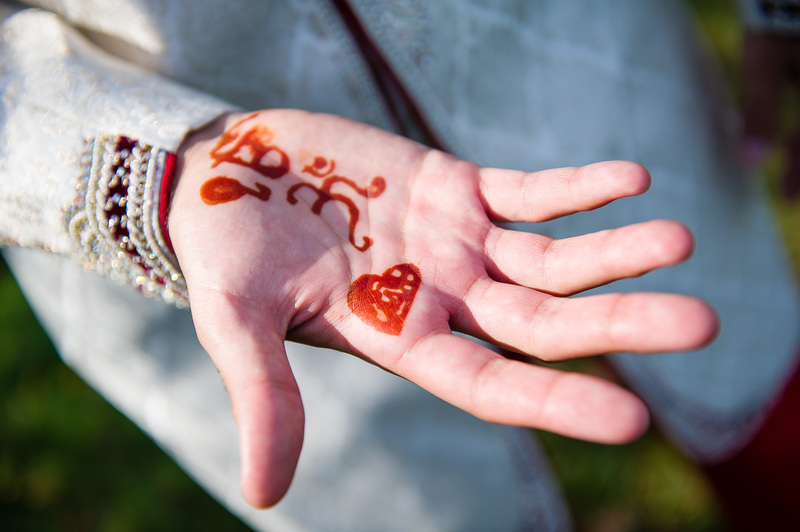 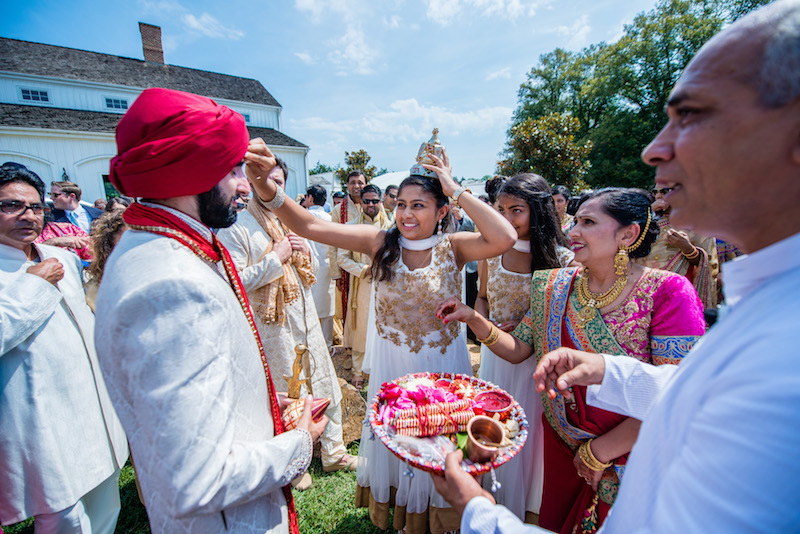 Incorporating traditions and cultural heritage is such an important part of planning a wedding ceremony for many couples. 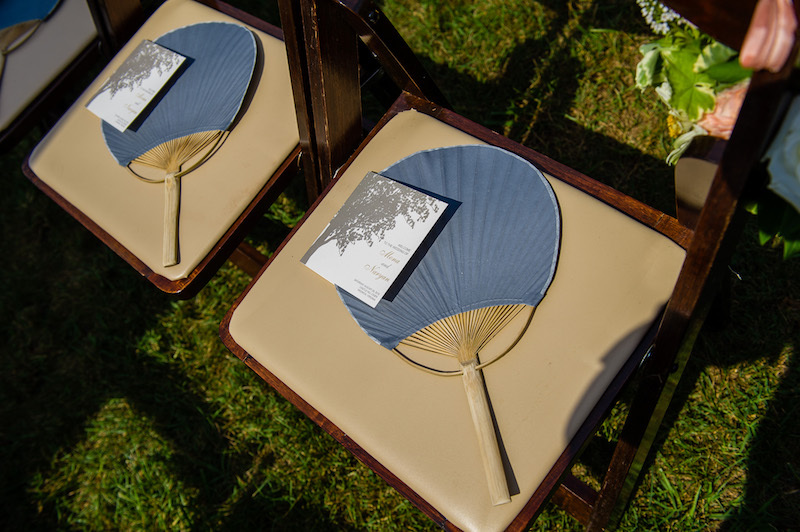 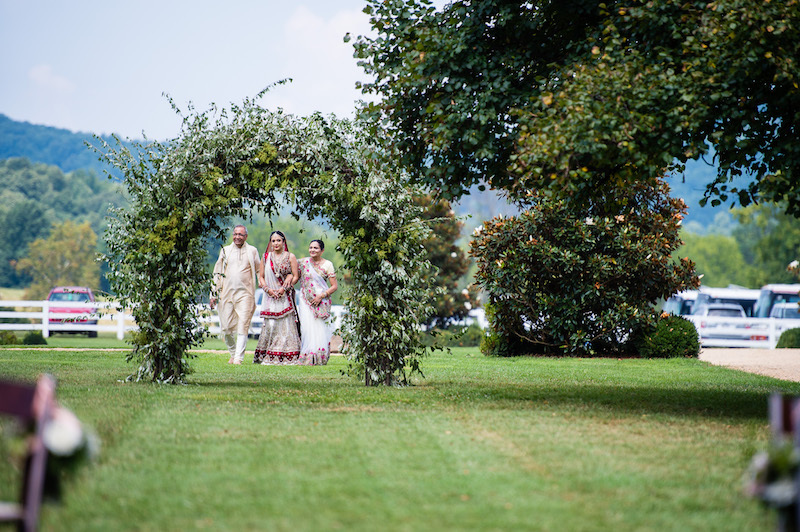 The ceremony is the foundation of a wedding, and choosing to incorporate traditions passed through generations brings a heartfelt meaning to such an important part of the day. 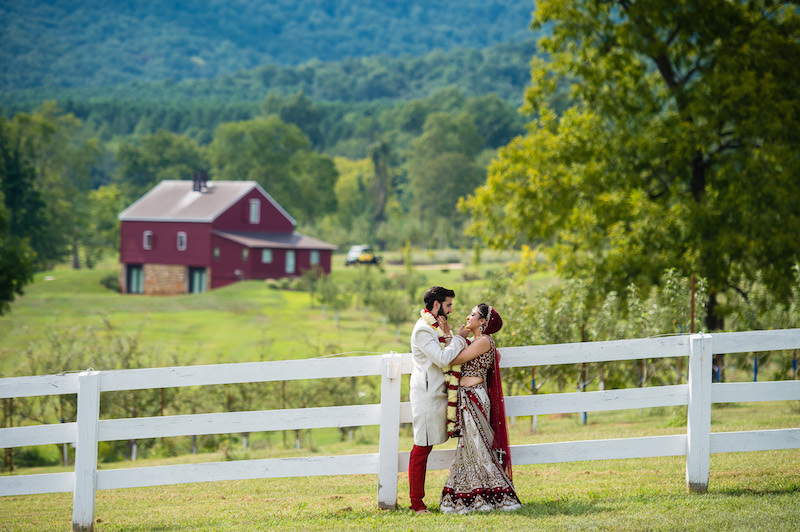 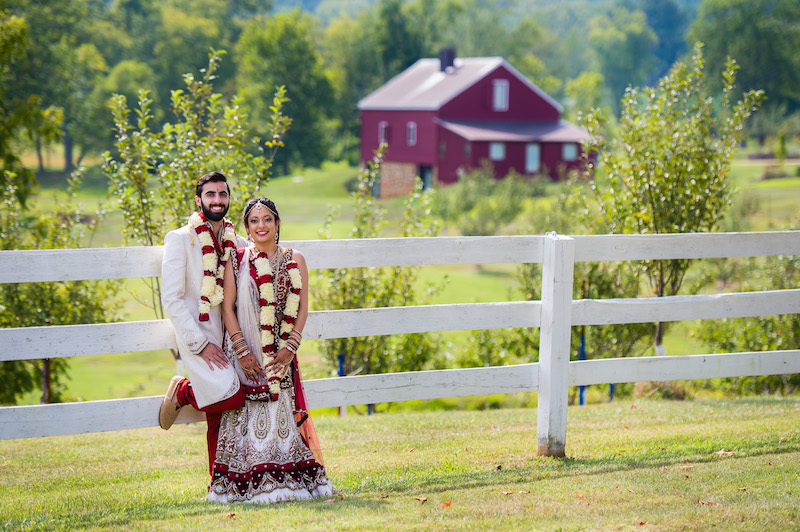 Today we are sharing Mona and Ryan’s stunning South Asian wedding at Castle Hill Cider to kick off a week of culturally inspired ceremonies. 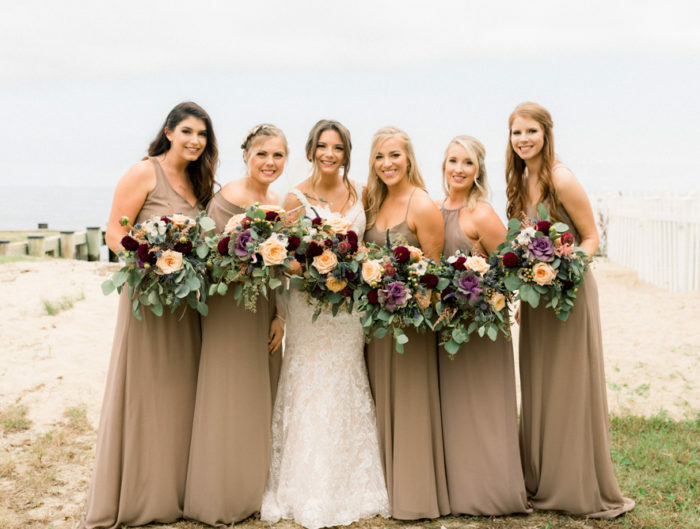 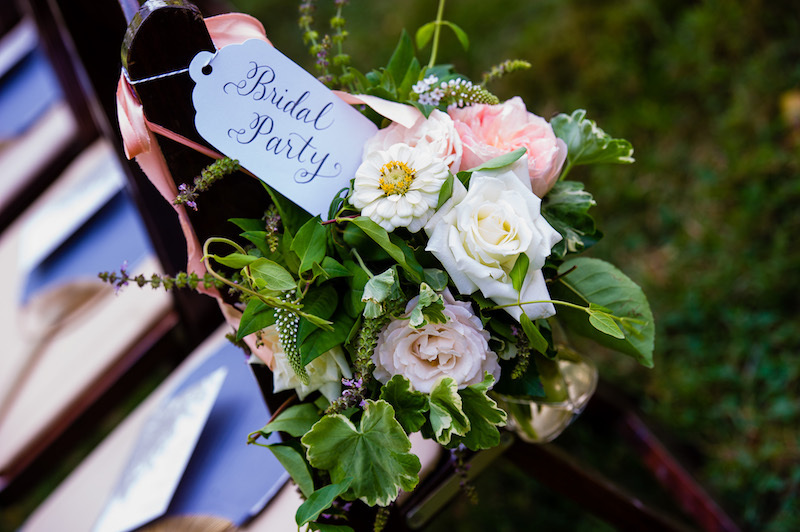 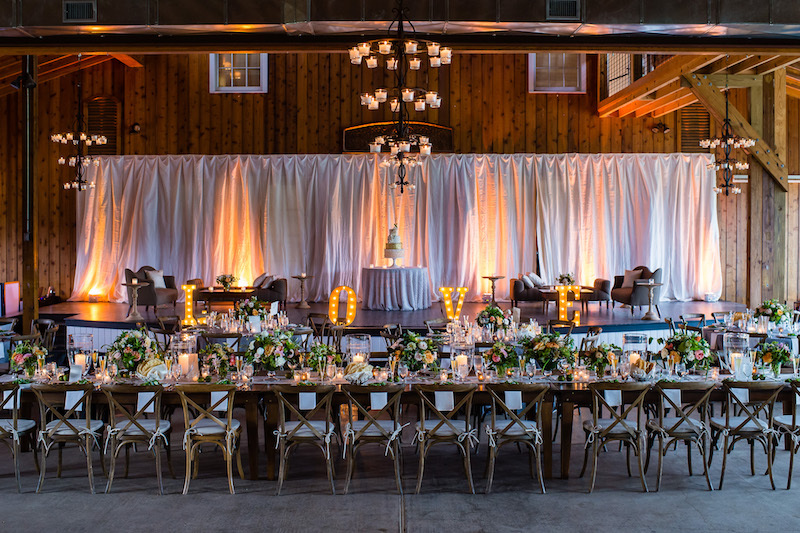 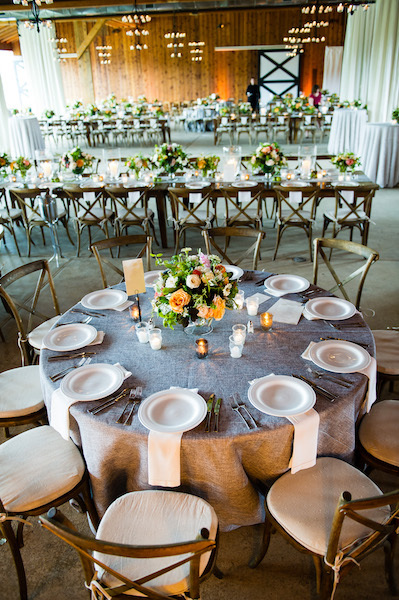 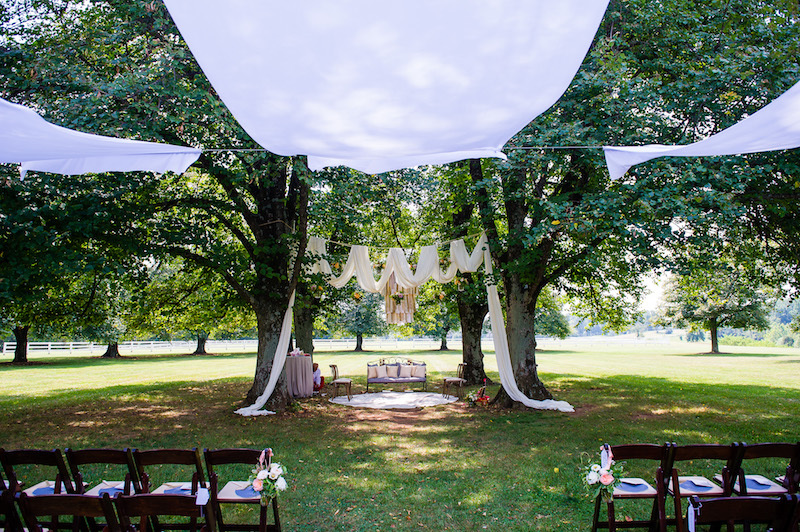 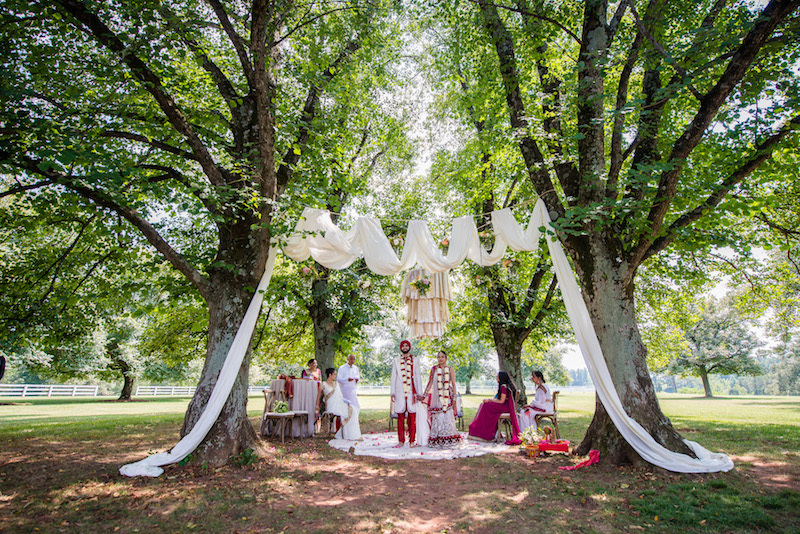 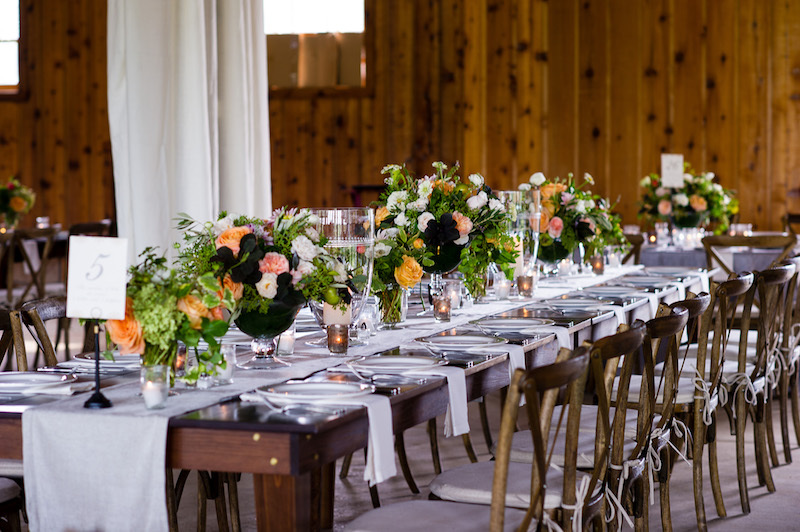 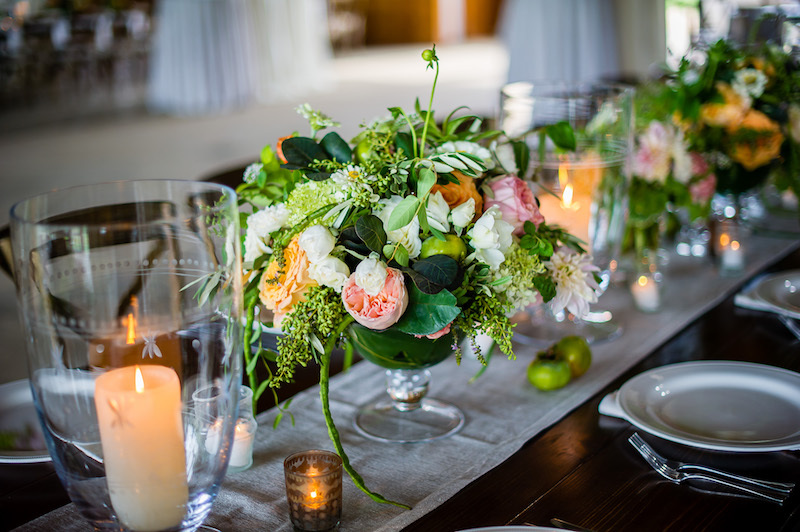 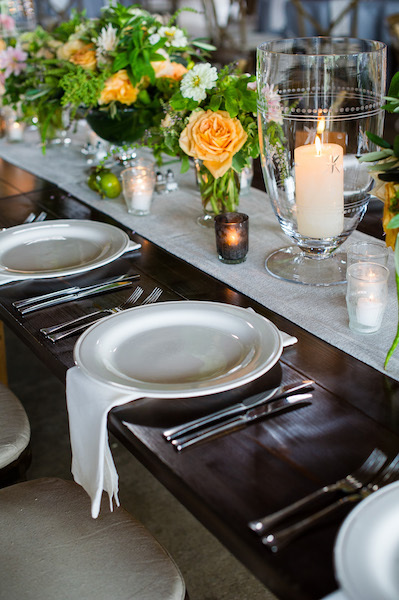 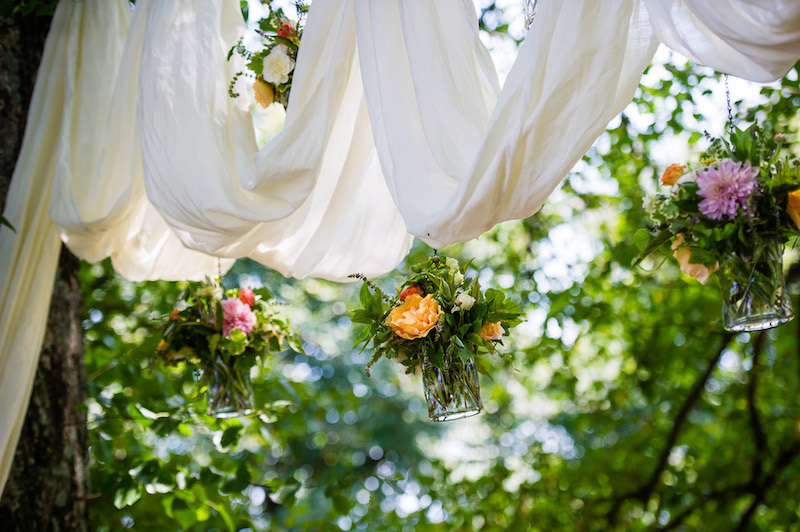 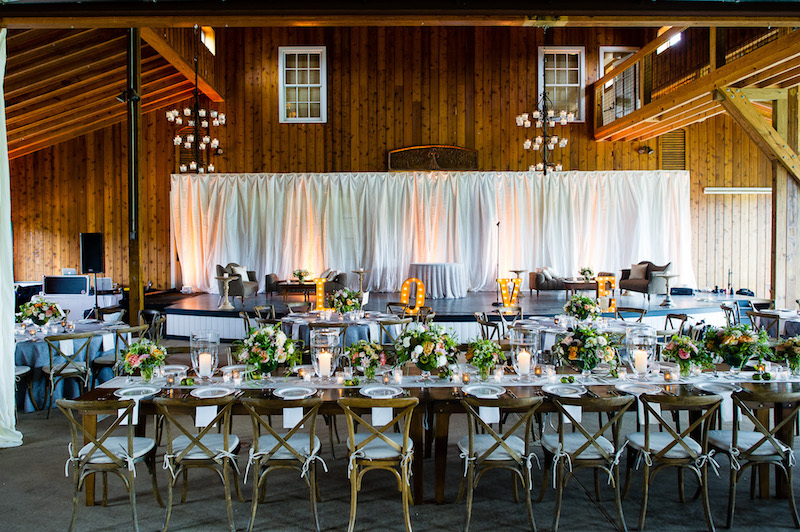 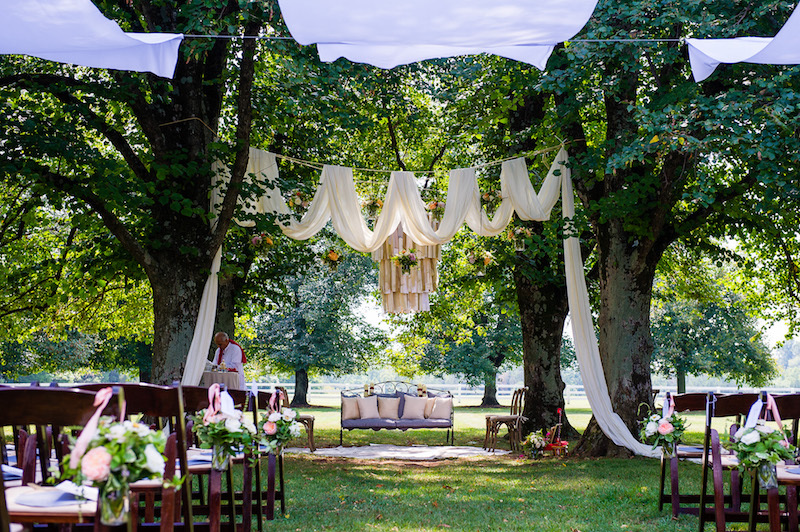 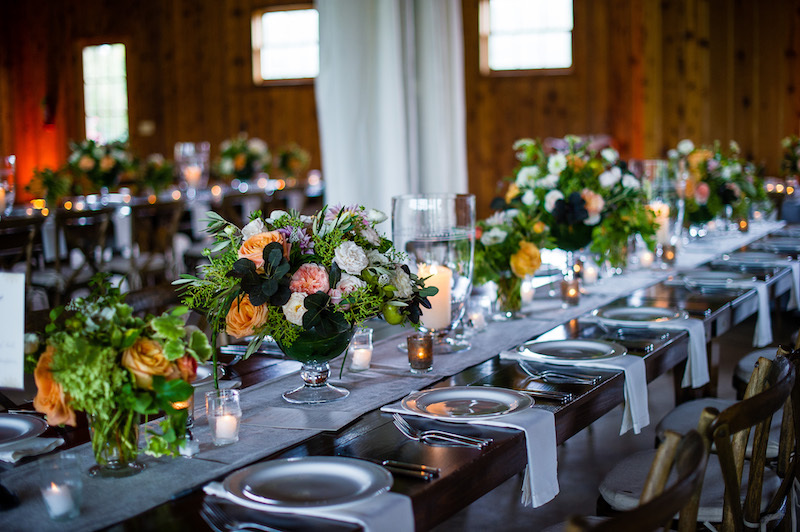 The couple worked closely with Christine from Engaging Affairs to plan a memorable rustic meets chic outdoor ceremony. 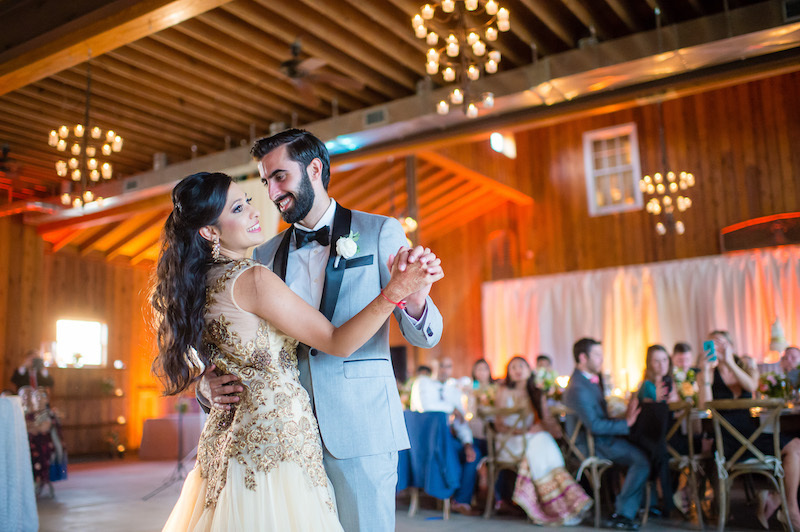 We absolutely love Mona’s beautiful red and gold Lingha that was donned for the ceremony before her change into a lighter airy western bridal gown for the reception. 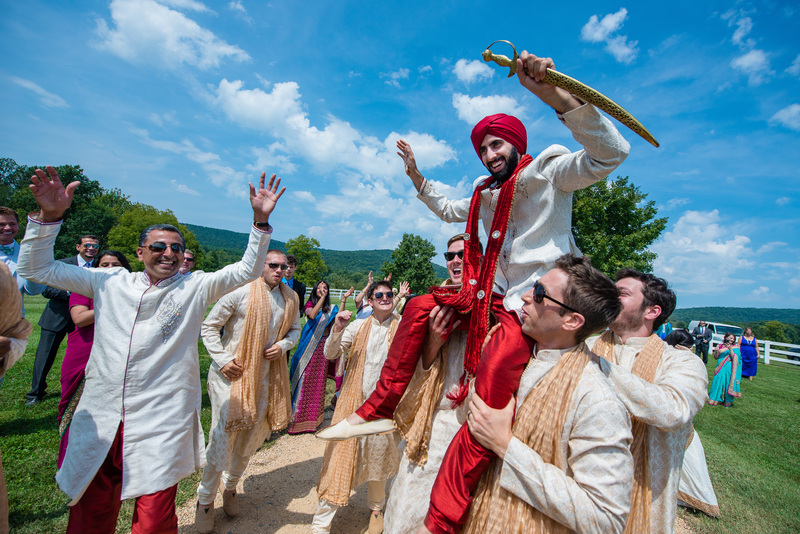 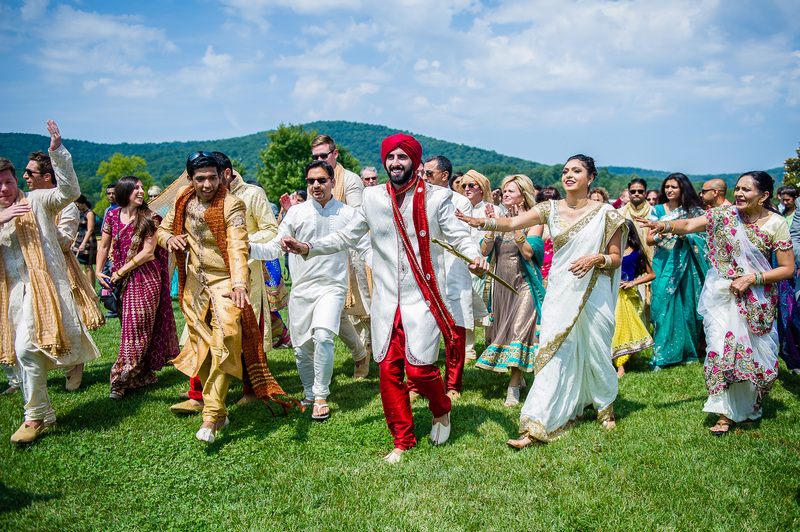 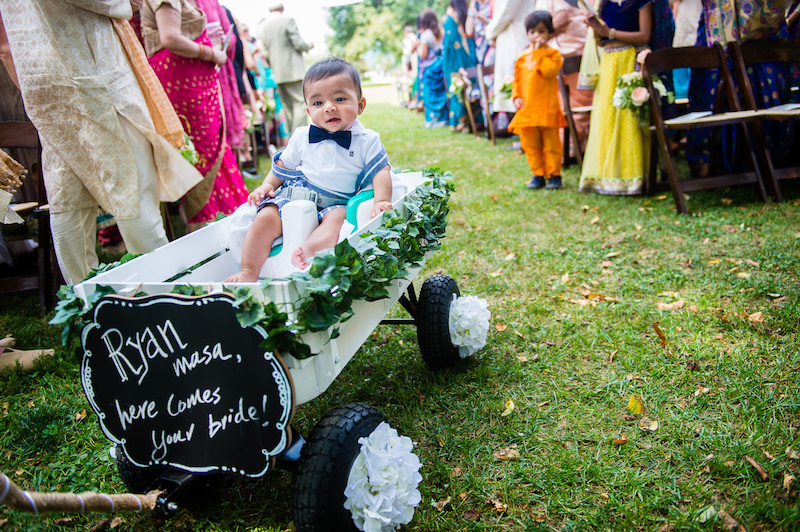 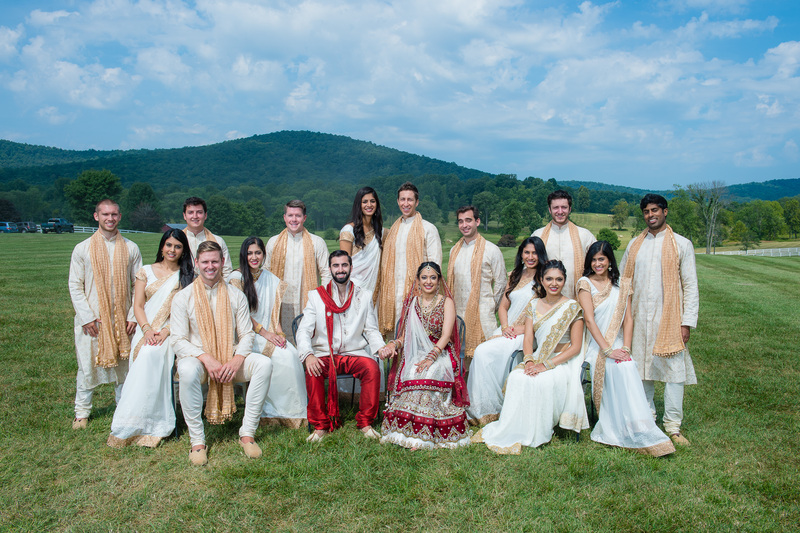 Leading into the ceremony, Ryan was joined by his family, groomsmen, and friends for a traditional Baraat. 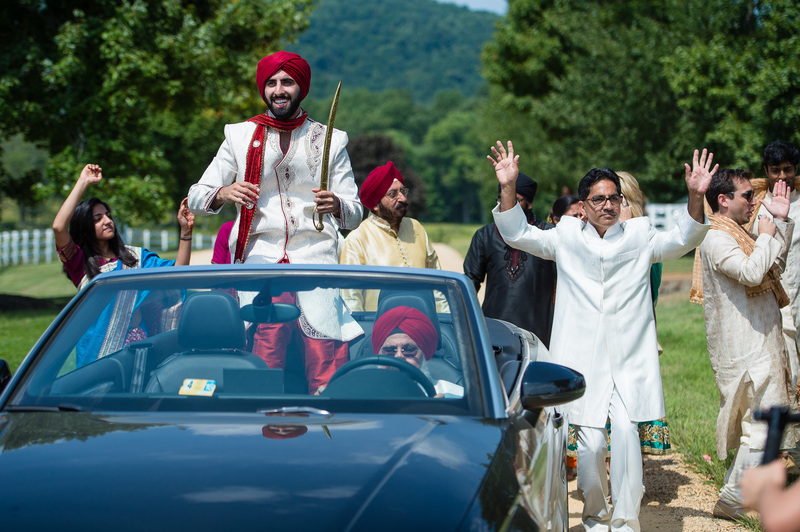 This fun and dance filled start to the day brings the groom to meet with the elders of the brides family traditionally on a horse, elephant, or in Ryan’s case a perfect Audi convertible! 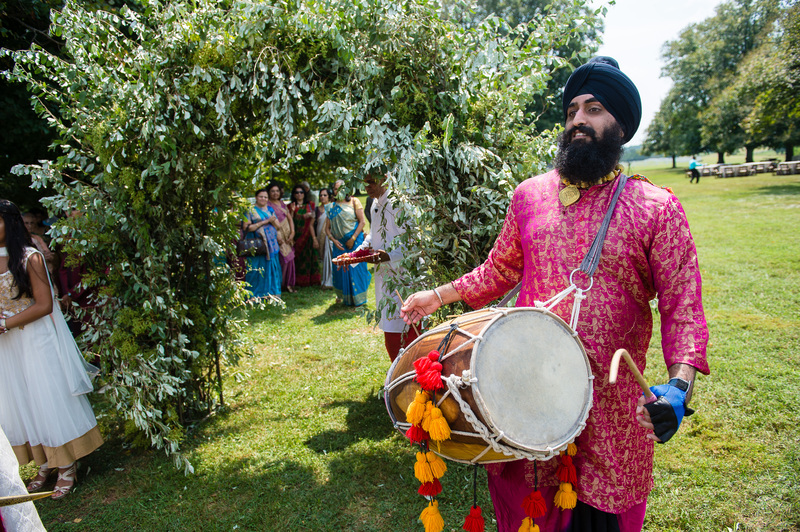 A dohl player joins the processional encouraging dancing and builds excitement between the families! 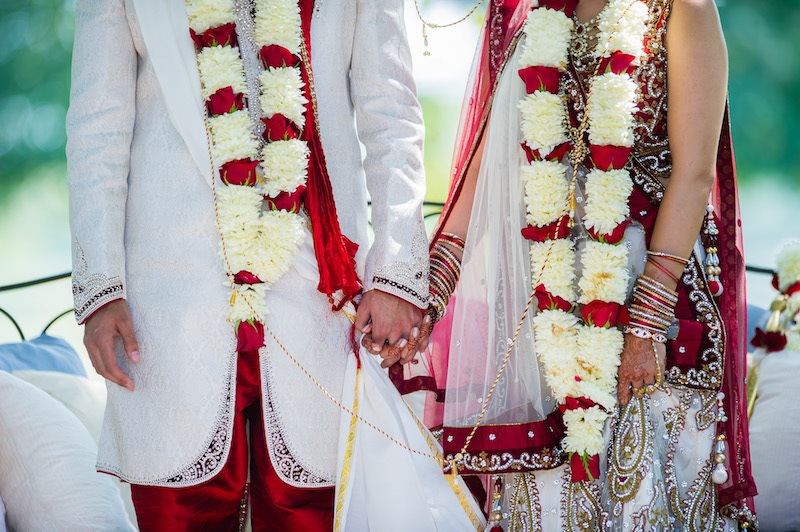 The groom is bestowed garlands from the bride’s entourage before heading to the wedding ceremony that ward off any evil spirits. 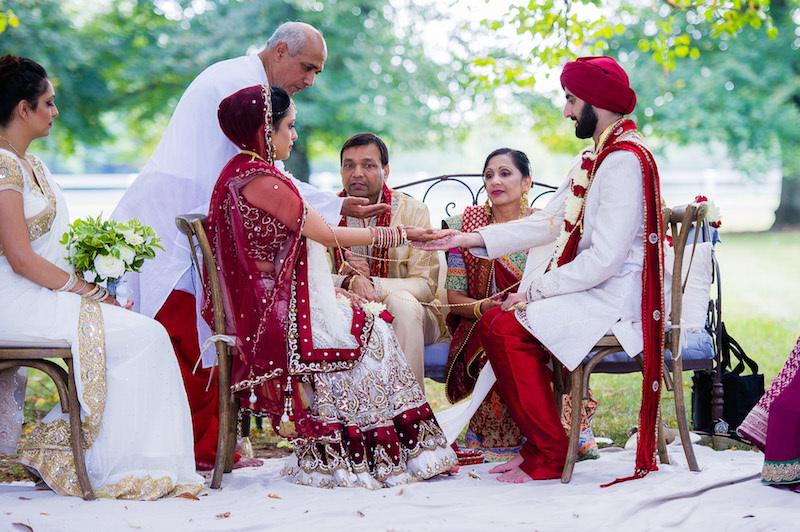 During the wedding ceremony, the couple is joined under the Mandap, a traditional wedding structure, by the parents of both the bride and groom. 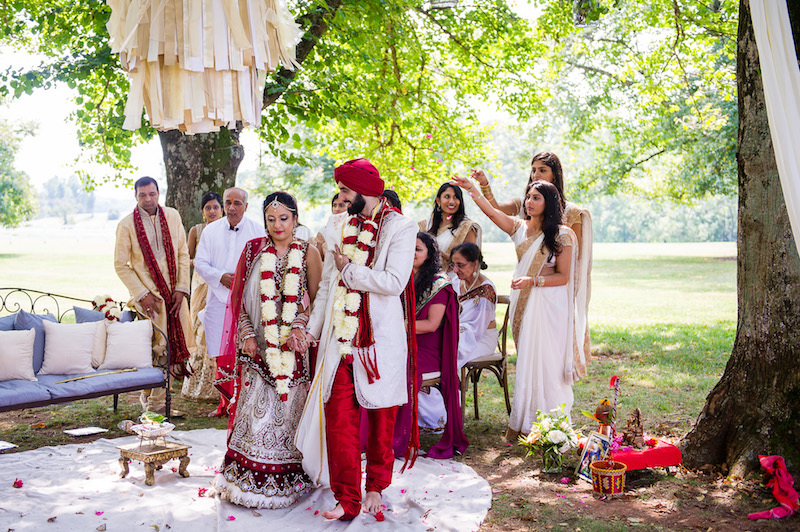 For Mona and Ryan, a cord is tied around the couple by their elders to ward off evil spirits and in lieu of wedding rings the bride is gifted a Mangala Sutra. 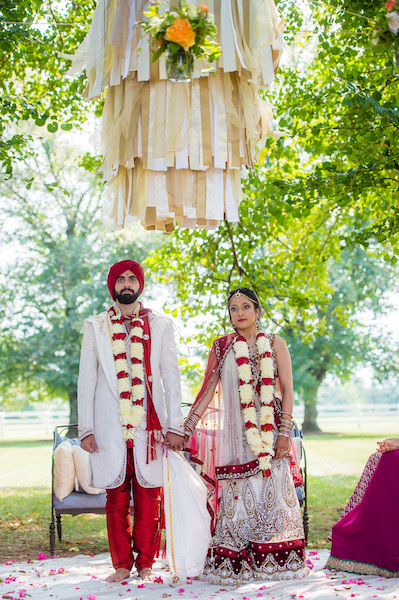 This pennant necklace is tied in three knots to symbolize the binding of two souls together for 100 years and also to declare that she is a married lady. 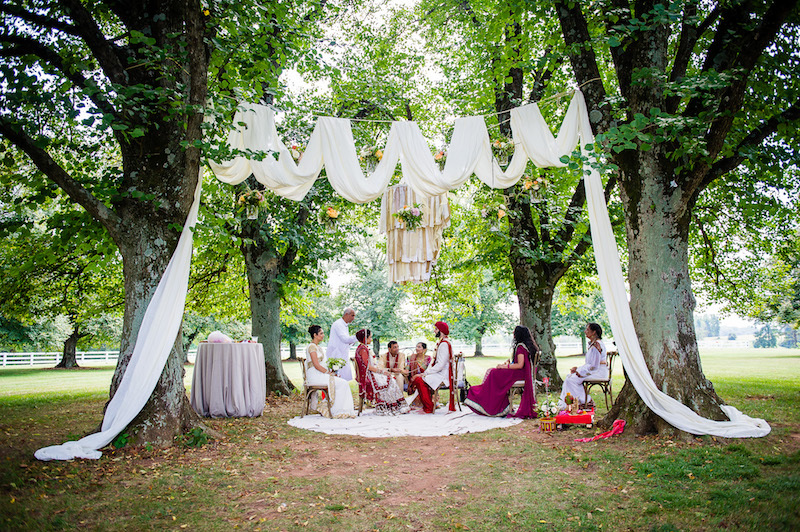 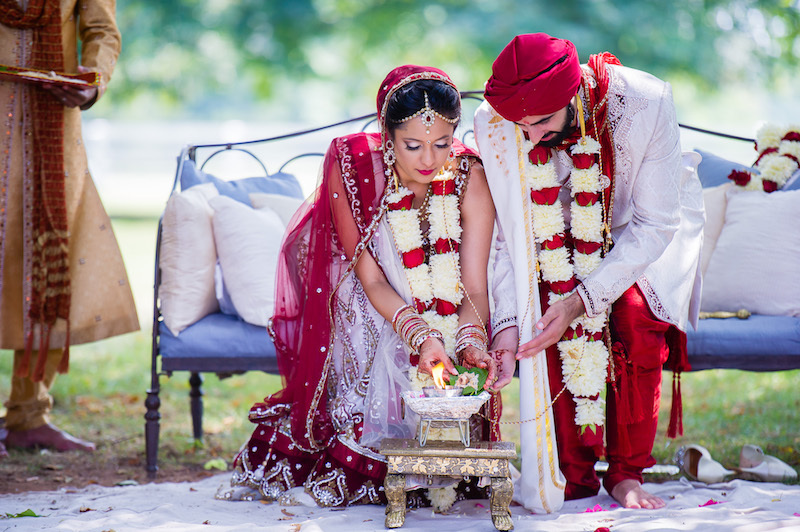 The number seven is important in South Asian weddings, as the couple circles the fire and recites 7 vows to each other to symbolize their commitment. 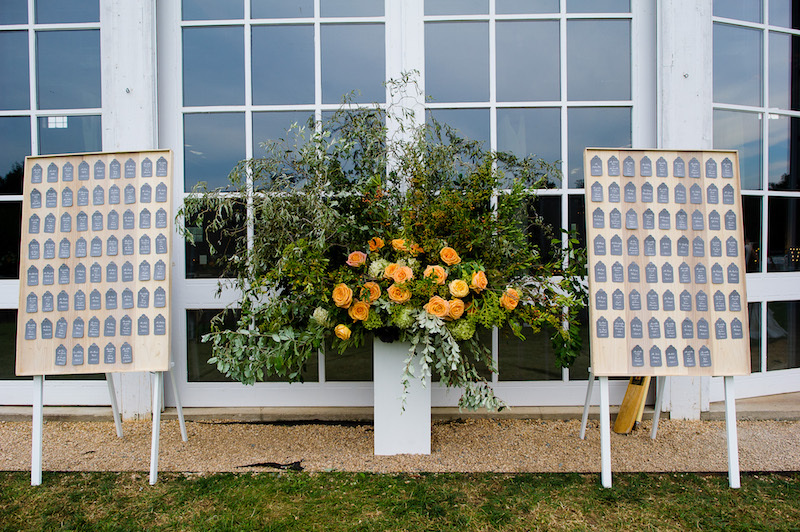 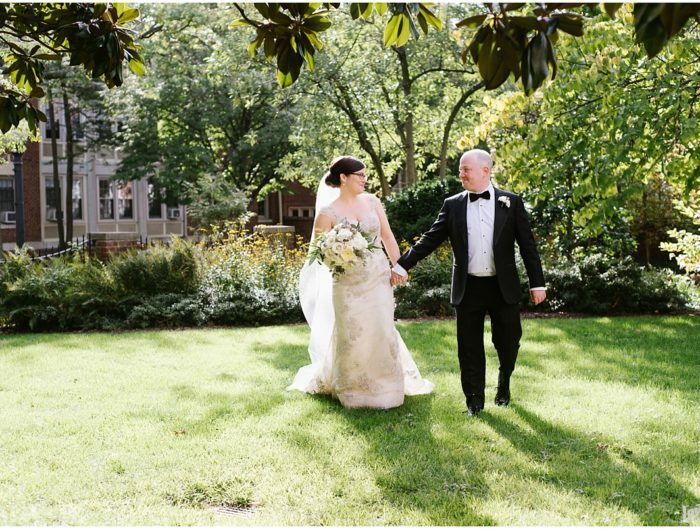 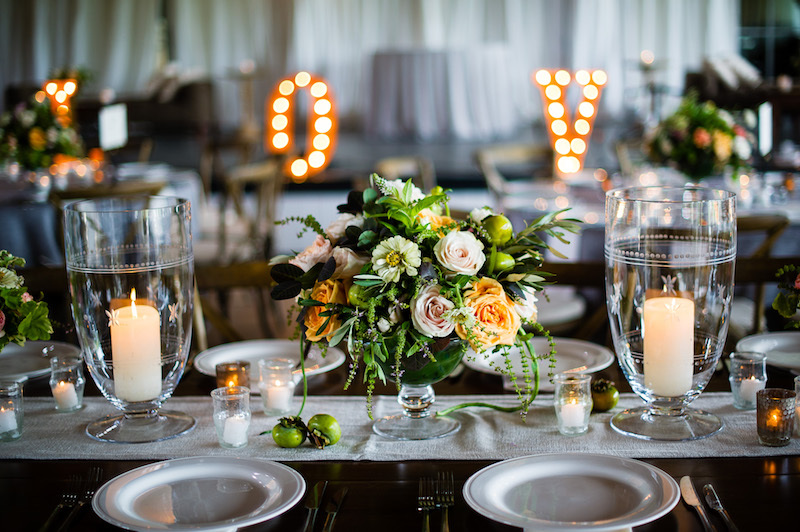 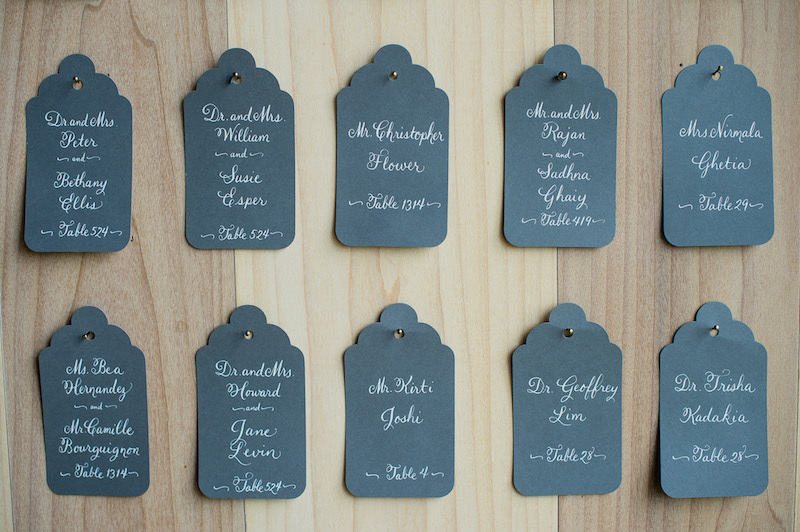 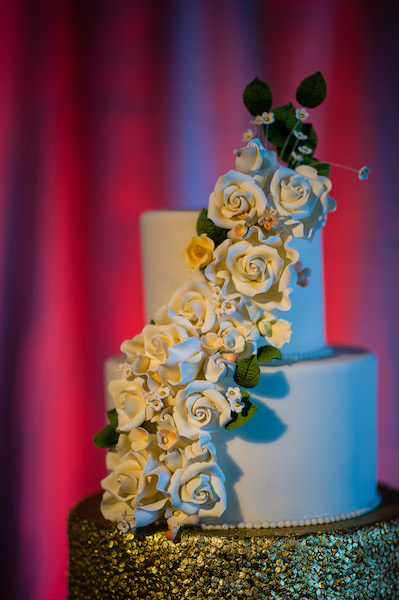 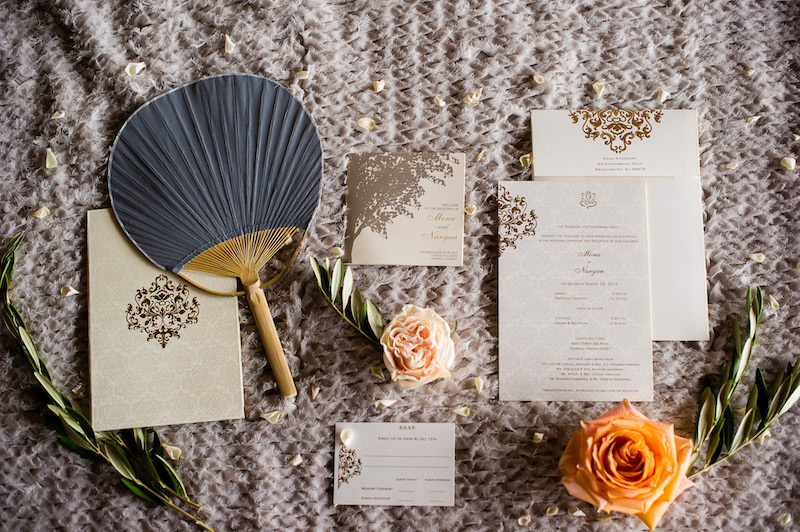 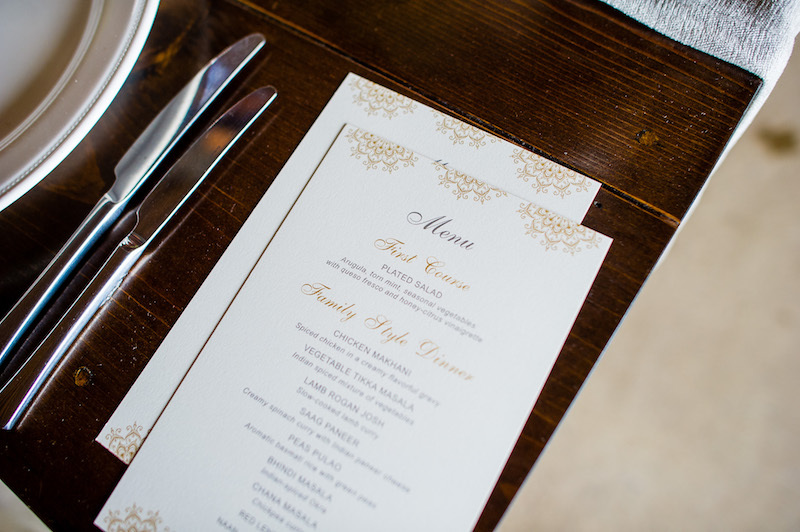 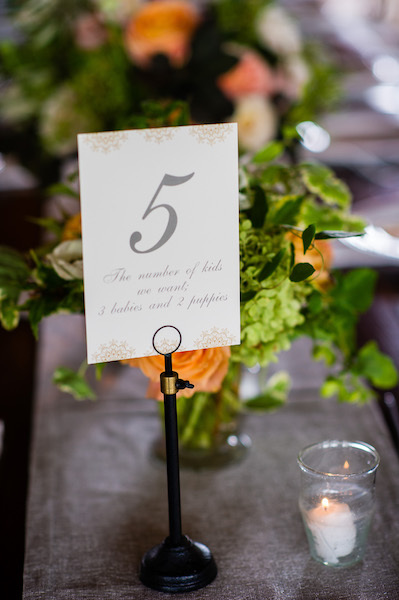 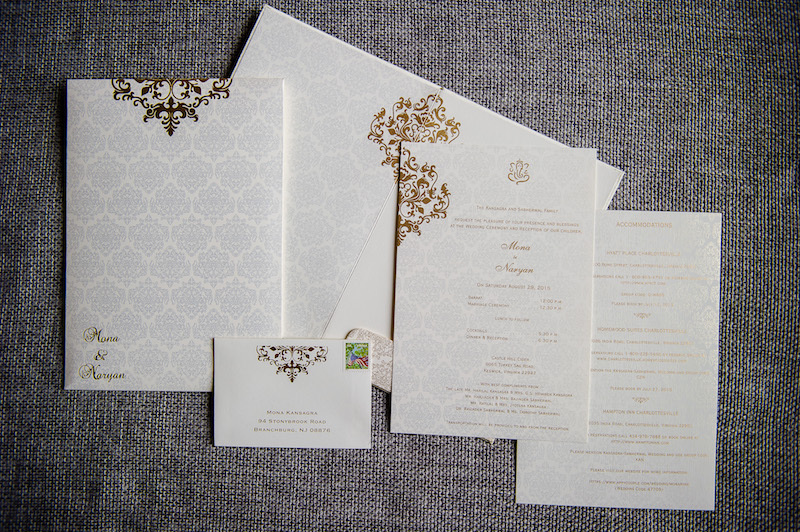 We love how each moment is deeply rooted in tradition and taken with love and absolute sincerity. 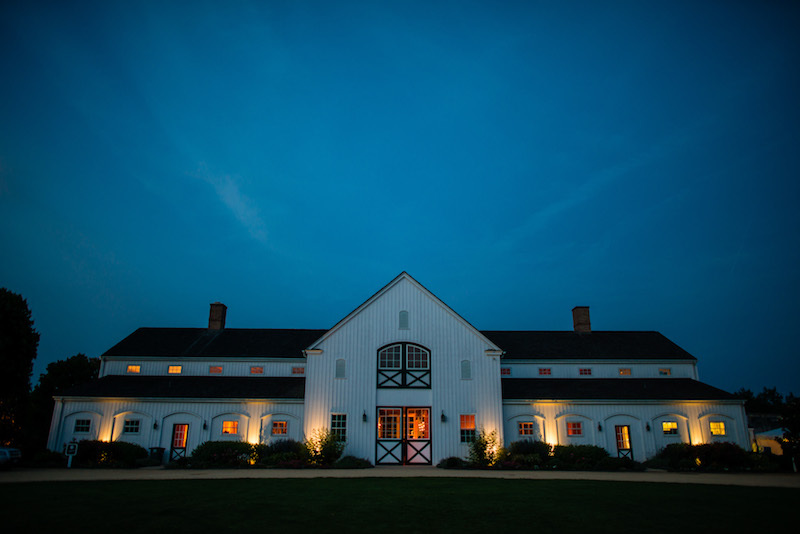 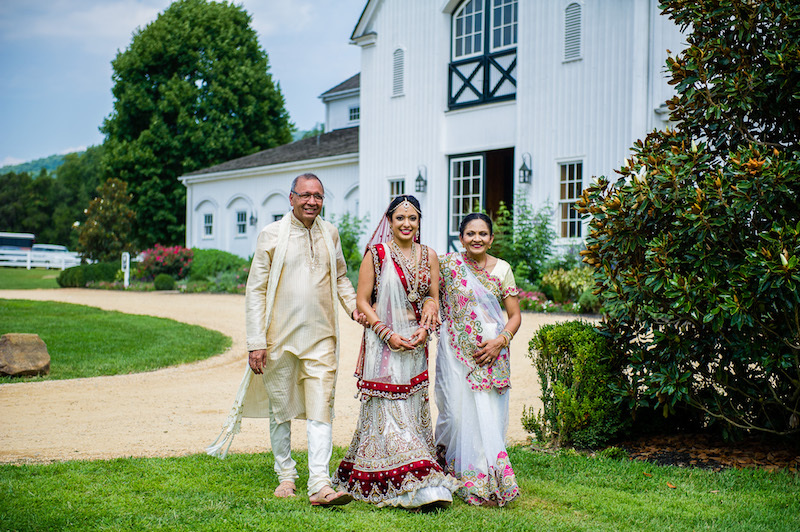 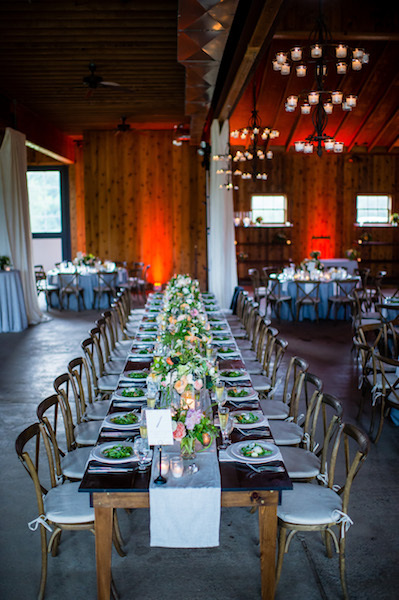 After a meaningful and lovely wedding ceremony, the couple had a quick dress change and joined their guests for a rustic chic celebration on the Castle Hill Cider property. 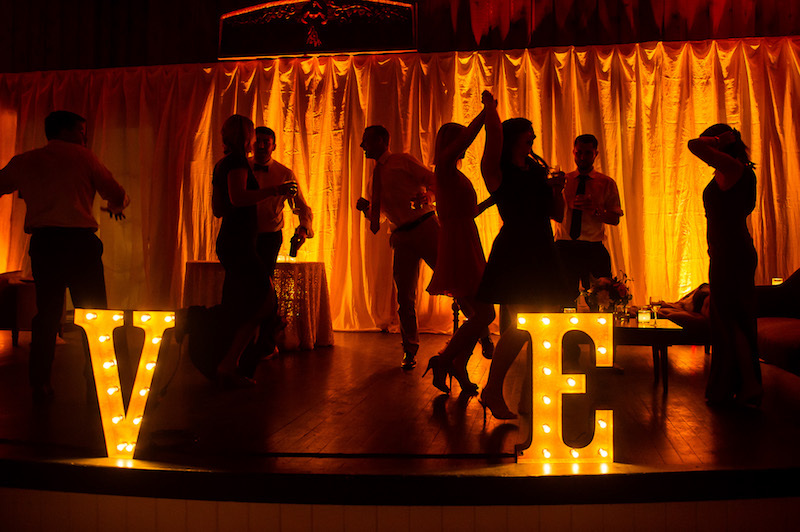 How fun is their L-O-V-E Marquee sign at the stage? 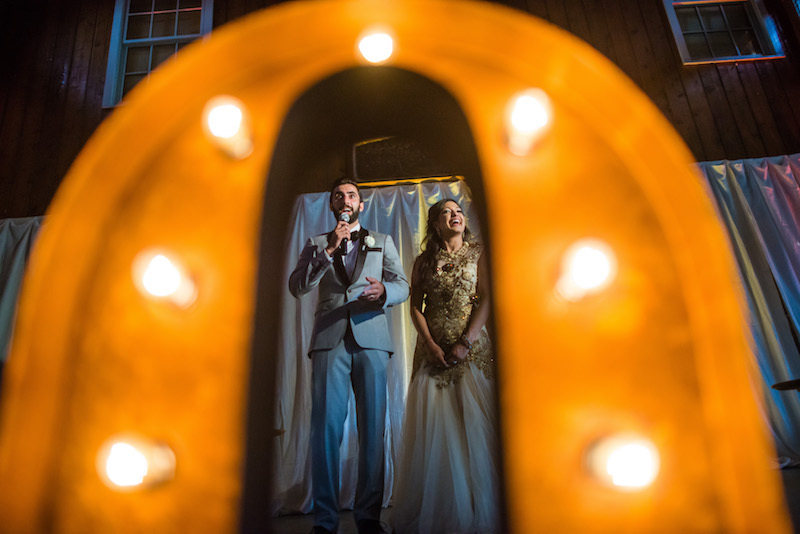 Thank you so much to Greg Gibson and Engaging Affairs for kicking off our cultural ceremony week and best wishes to the newlyweds! 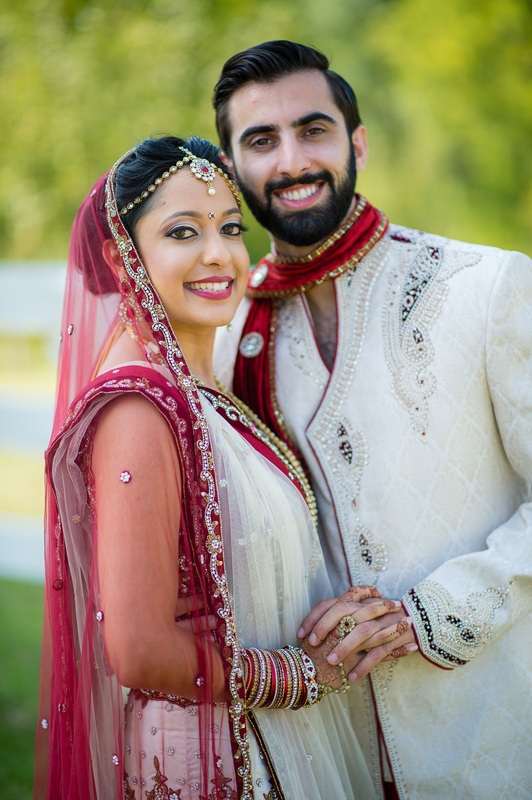 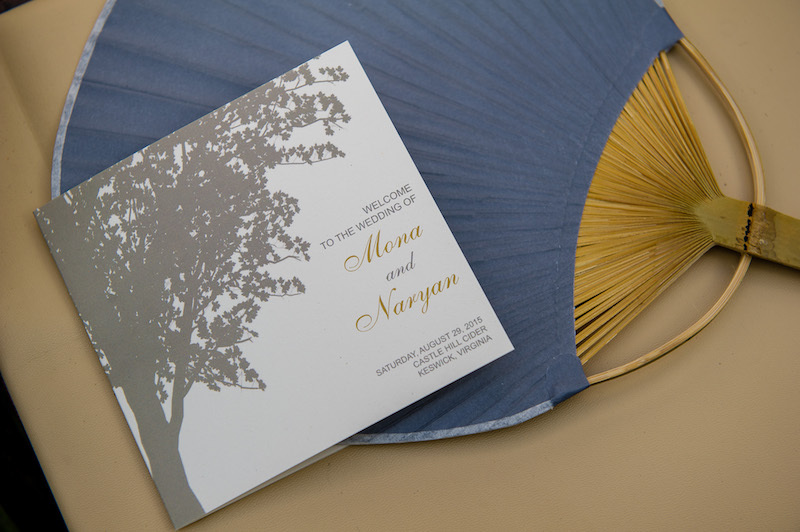 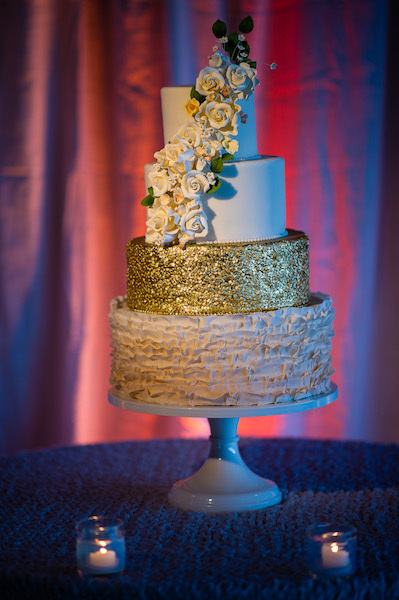 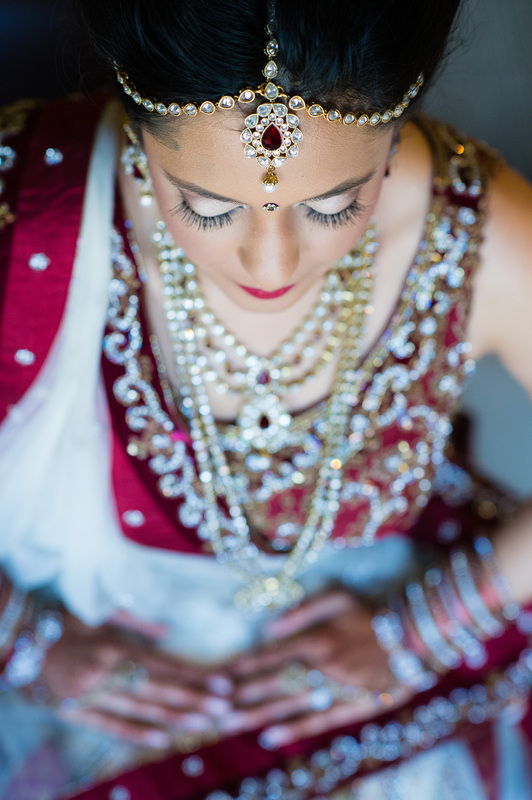 Do you have a beautiful cultural ceremony or reception to share? 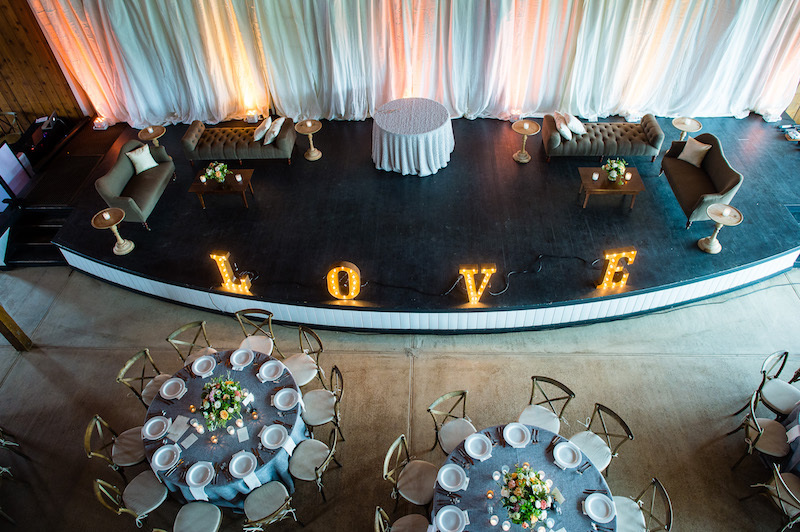 We would love to see it, send over to us at Submissions@Unitedwithlove.com for an opportunity to be featured on the blog!! 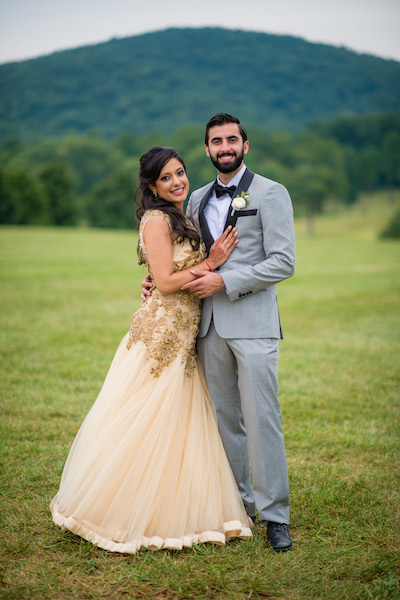 Also, you wont want to miss their wedding day highlight film from the always talented Josh Gooden!